My favorite bird photo of the week had to be Dan Huber's snoozing Eastern Screech Owl. Dan also had really nice posts each day this past week and they are all worth checking out. Please visit Nature Observances for more of Dan's fantastic bird blogging. As I type here, I am trying to overcome the lethargy caused by yesterday's gluttony. Dang that sweet potato crunch that I just love...way too much! The Mortensen's had a nice Stray-Dog Thanksgiving with some fun neighbors who also didn't travel "over the river and through the woods to grandmother's house". We had lots of laughs, delicious food, and of course grateful hearts for our bounteous blessings. I hope that you similarly enjoyed Thanksgiving. * Pat Bumstead shares another guest blog post at Bird Canada. Check out Whoopers in Flight and read why the photo is so special. * Mia McPherson has two really nice posts: Low Light Images and More Rough-legged Hawks. * Kathie Brown has gorgeous fall photos (some birds included) from the northeastern United States. Lovely! * Steve Creek has some eye-catching images of a Cedar Waxwing eating amazingly colorful berries. * Scott Simmons had another great week of posts; everything from Egret and Heron identification to a little American Kestrel Bird of the Year love. But my favorite post came last Sunday featuring the Loggerhead Shrike Meets the Grasshopper. Check out all his posts as your scroll back through the week. * Jeremy Medina posts a short and sweet profile of the Black-crowned Night Heron. * Rob Fergus finally chased down a Brant, surely to help maintain his Minimum Daily Requirement. * Rob Ripma discusses his need to Satisfy a Birding Craving. I think most of us can relate. * Kelly Riccetti is an amazing artist and she often shares her process. I just love her subtle and simple Dark-eyed Junco watercolors. * Greg Gillson presents a great tutorial on finding bird species using eBird with the Pinyon Jay as a case study. * Lillian Stokes shared a week of Wild Turkey photos. Fun! 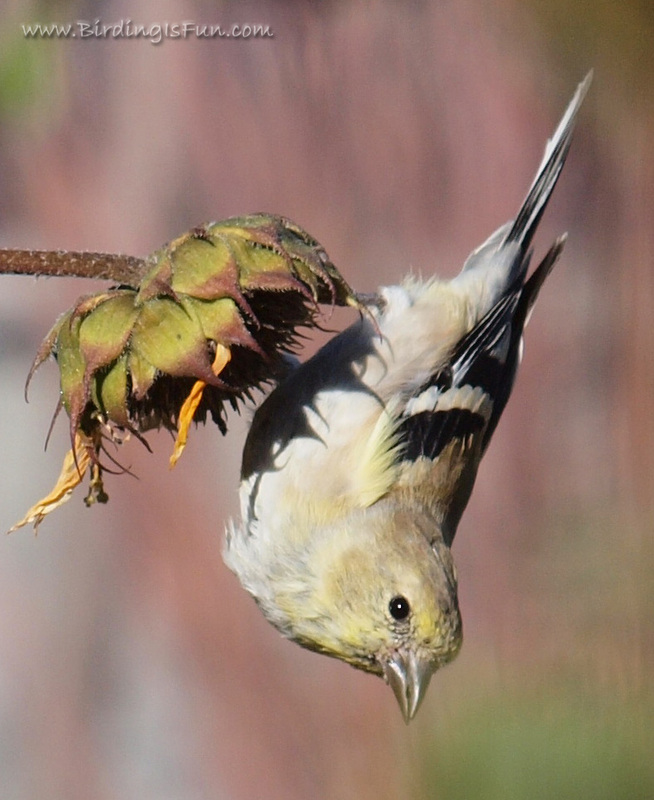 * Ken Schneider relates stories and images of his website's namesake and signature species: Rosyfinches. * Laurence Butler captured some wonderful images of Arizona birds included a Harris Hawk and also shows the differences in a appearance of an Anna's Hummingbird at different light angles. * You can't go wrong with any of Ron Dudley's bird photography awesomeness shared over the last week. * The folks over at The Nemesis Bird have some excellent posts this week too. * Yesterday Dawn Fine shared an awesome video on nature and gratitude on her blog. It is worth all 10 minutes! * Cynthia White's four woodpecker photos are awesome and took me back to my AZ days. * Maybe I'm a little late on this, but I really enjoyed looking at the winning photos from the last Great Backyard Bird Count. * I appreciated Blake Mathys' post at the ABA Blog about how its okay to say "I don't know" when it comes to bird identification. * Jim Braswell had some sweet Raven close-up images. I haven't yet developed the skill for capturing feather details of black birds on camera. * Janet Hug's Barred Owl photo is amazingly beautiful! * Anna Fasoli also had a nice series of owl photos. * I used to Hate Birds by Jen is another fun birding blog to follow! * On the aforementioned subject of Shrike prey impalement, Jill Wussow also has some cool photos too. * Linda Rockwell continues to tantalize me with her bird photos from the Rio Grande Valley Bird Festival, while the Birdchik, Sharon Stiteler makes me covetous with photos of birds in Israel. * Nate Swick had a Selaphorus Double-header in which he had homeruns. Congrats! * Birds Calgary has curiosity perking photos of a Goldeneye removing an egg from the tree cavity nest. * The Punk Rock Big Year has a series on tattooed birders entitled "You're a birdwatcher?". Fascinating! Thank you for your nice article on Birding is fun. It will help me. Great work bringing everything together, and a nice photo at the end too! As always, your energy enable others to become better birders, and have more fun.